How can we look at an employee population and figure out not just who has cost a lot, but who has the capacity to cost a lot? Once we identify the high risk members, what can we do to help prevent their health issues from escalating into the high-cost category? With escalating health care costs, employers must arm themselves with the tools necessary to effectively manage health care risk and avoid significant costs. As health care evolves, health care risk to employers becomes increasingly more and more complex, and in the health care world one of the most valuable strategies is to know your data and how to use it for tactical decision-making. Otherwise it's tough to manage what you can't measure. There are strategies and tactics to shift perspectives from being solely focused on the past, to focusing on what is coming down the pipeline in terms of your employee health plan costs. 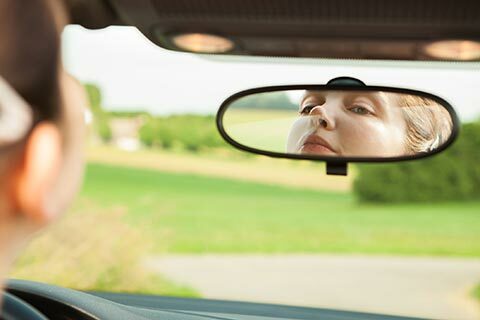 In other words, employers can shift from using the rearview mirror to using the windshield view with the ultimate end goal of putting data analytics tools combined with human management strategies in place to avert, mitigate, or manage the next high cost encounter. This is a different way of dealing with the challenge of understanding health plan costs and figuring out what to do about them. Traditionally the industry has been focused on historical data, i.e. what happened to cost trends. It’s important to understand where things have been from a renewal and a budget increase perspective. However to really get ahead of the cost curve, and to manage risk and costs, employers need to start looking through the windshield at what's coming ahead. There are so many opportunities to look at risk measures, and for the employer to take an appropriate yet more active role in encouraging the population to pursue higher levels of health awareness and accountability. Nevertheless, an employer can only do so much to manage risk on their own, and a health plan can only do so much to manage risk on their own. Employers need to gain an understanding of what is going on with providers, including analyzing your health care data, doing PCP (preferred care provider) attributions, examining the patients that are seeing these docs, plus looking at activities such as ER and advanced imaging utilization efficiency. When you consider the effect of the top 5% of claimants, it helps you make decisions and it helps you realize where you need to focus your resources. With this in mind and knowing that relatively few people drive the majority of costs with high turnover year over year, there are medical management tools and resources that are used in the industry today to help employers manage cost. However, the one thing that all these currently used strategies have in common is that they're all reactive, and the cost of the risk has already materialized or is about to be incurred. This is where we have an opportunity to shift to the windshield view and take a more proactive stance, with the goal of preventing or at least better managing the next high-cost encounter. Once we've identified the high-risk individuals, there are strategies for getting people to take action. We not only want to make them aware of their situation, we want to actually engage them with the appropriate care at the appropriate time in order to mitigate some of these gaps in care and try to at least keep them from escalating into the high cost category. Lastly, data surveillance is the sentinel. It is key to monitor your data for changes that could be unfavorable or costly. You want to keep a watch out for events that explain changes and/or present an opportunity to avert even higher potential costs. Access a detailed whitepaper on this innovative process, and learn more about taking the first steps to successfully manage and control your healthcare risk and costs by contacting The Partners Group here. For over 35 years The Partners Group has been serving the financial and insurance needs of employers, medical professionals, and successful individuals with services including employee benefits and business analytics consulting, retirement planning, investment services, commercial and individual insurance.